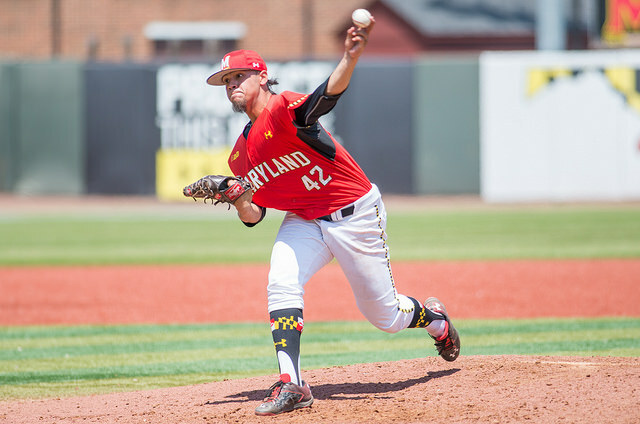 The Minnesota Twins selected Maryland LHP Alex Robinson in the 5th Round of the 2015 MLB Draft Tuesday. He could join former teammate Blake Schmit in the Minnesota system. The Long Island native struck out 32 batters in 27.2 innings of work out of the Terrapins bullpen in 2015. He posted an ERA of 1.63, holding opponents to a .136 average. Robinson is one of the hardest throwers in the Big Ten, having touched 97mph with his fastball. He’s found a home in the bullpen this year, where his plus fastball and slider play up. The New York southpaw had never been selected until this year. Robinson was selected 140th overall. The slot value for that pick is $387,700. He will have to make a deal with the Twins by July 17, or he would return to College Park in the fall.